Looking ahead, eyes on the present and inspirations from the past! Apaixonar-te – It’s the portuguese verb for falling in love. Arte means art. We just gather the terms. APAIXONARTE – Falling in love with art. Passion is the intense feeling that fills our entire body from top to bottom and accelerates our hearts. Once the dopamine works in the brain we are instantly invaded by an uncontrollable tics of welfare and an uncomplicated happiness. These feelings emerge when we reach something unique that stands out and it is quite nice. Jumping and pumping, the heart tries to control the shaking and accelerates without fear or orientation – is passion. Apaixonarte wants to play with your senses, memories, impressions and cause new sensations. We want to value the culture, customs and traditions, looking ahead, eyes on the present and inspirations from the past! 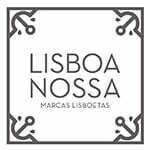 A place that seeks to welcome the Portuguese spirit. Located in a historic district of Lisbon between the Bairro Alto and Santos / São Bento neighborhoods, on a narrow street which passes the famous 28 tram. An alternative space that moves our dopamine levels through a great diversity of objects – in art, design and urban crafts, always with a << objective on the lens >>: promoting what is national. Fleeing the mass products, in our shop, you will find a selection of products “out of the box” and unique pieces, which come from young companies and emerging artists, north to south, from Portugal. Our gallery , serves as a canvas for exhibitions of many arts, by Portuguese emerging artists.